At Moved, we believe in making moving as exciting and stress-free as possible, even your furry, four-legged friends. When moving to a new state, rules can differ, as each state has their own laws for pet owners. You should check with your states Veterinary Office or Department of Agriculture before your move. Here’s a state-by-state guide courtesy of GoodCall. You should also be knowledgable of the Local Ordinances regarding pets in your new town or city. These include things like leash laws, licensing rules, limits on the number of pets in your household, and zoning laws that may prohibit specific animals. More than likely, everything will be fine, but it can’t hurt to contact a local official to be sure before your move. 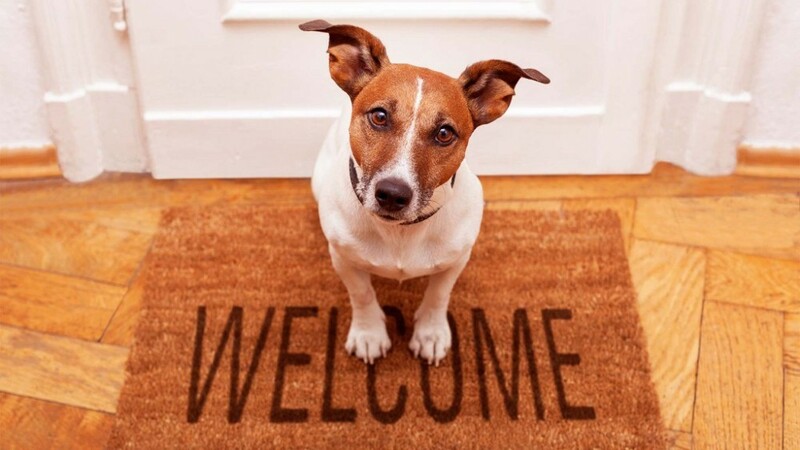 Lastly, you should double check your Apartment or Condo Rules (if you are moving to one) to confirm that your pet is allowed in the building. There are three basic ways to transport your pet to your new home. If your pet does not normally ride in the car, you should probably take them on a few short rides prior to the date of your move just to get them used to it. An animal that is panicked on its first trip in the car could be a nightmare. If your pet gets motion sickness, you may want to consult your vet to get them some medication to help. Be prepared with leashes, food, bowls, towels, cages, or anything else your animal might possibly need during the trip. We’re big advocates of simplicity, but being underprepared with a pet in the car could spell disaster. Make sure you book animal friendly lodging. Many hotels permit certain animals, like dogs and cats, to spend the night with you in your room. If you aren’t driving to your new home, moving your pet by plane is slightly more complicated, but still shouldn’t give you much trouble as long as you plan ahead. Firstly, book early. Most airlines limit the number of animals they will carry per flight. Get authorization for your pet. Some animals may be permitted to fly in the cabin of the plane (depending on pet size, cabin size, and the type of animal). Some animals, like venomous snakes or lizards, might be prohibited from flying all together. Contact your airline in advance to sort out all the details. Label your pet carrier with the name of your animal and any other important information (his/her species, breed, necessary medical info, whether it may bite, etc.). If it may not be obvious that your pet carrier contains an animal, you definitely want to label the box as fragile and make it clear that there is a living creature inside. Like always, be prepared. Flying can be hard enough for people, let alone animals. Sorry to be redundant, but make sure you have food, leashes, medications, or anything your animal could conceivably need. Don’t want to deal with the added responsibility of moving your pet and don’t have a problem putting them in the care of someone else? Hiring a trusted professional pet shipper is a great way to transport your pet. Use this link to find a shipper through the International Pet and Animal Transport Association. When going this route, you will still need to provide the shipper with the necessary details (age, breed, health considerations, documents, vaccination records, etc.). More information is always better than less when you’re putting the care of your beloved best friend in someone else's hands. Make sure your pet has identification tags (if it’s an animal that can have a collar). If your animal has a microchip, gather any necessary information and make sure the chip has been activated. Always travel with a leash so you can let your pet out of it’s carrier without it running away. Before leaving your old home, be sure to obtain your pet’s medical records from your old veterinarian so your new vet can provide your pet with the best care possible.